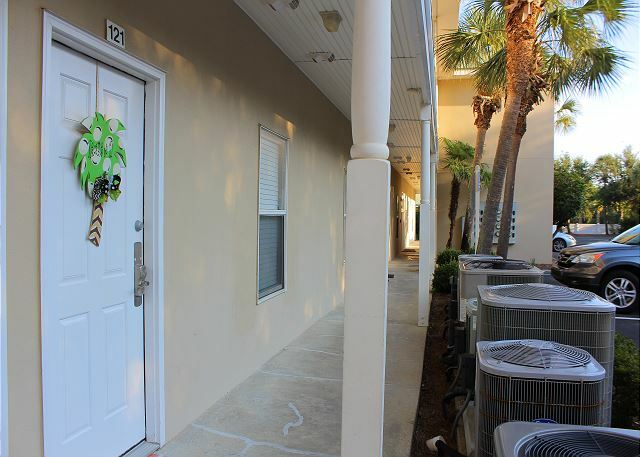 This recently updated unit is located just across the street from the beach. The Caribbean Dunes complex offers a large heated pool and hot tub. The pool is heated seasonally. Saturday to Saturday rental during the peak season! Awesome! Super clean and included little details that we would not have thought of and therefore did not have to buy. Great space and location. Thank you for sharing your review for Caribbean Dunes #121. We are delighted to know that you all had such a pleasant stay in this beautiful Destin condo and that you appreciated the great layout of the home as well as the location by the beach! We thank you for commenting on the details, and we're glad to hear that you appreciated this. We hope to welcome you all back again really soon as our guests here in beautiful Destin, FL for another Fantastic Beach Vacation! It was nice and clean as well as just enough room. The staff was friendly and professional. I will definitely book with Harmony and I will refer Caribbean Dunes 121. Thank you for sharing your review for Caribbean Dunes #121. We are delighted to know that you had a wonderful stay in this beautiful home and that you found the spaciousness of the home just right! Thank you for your kind comments for our team, we appreciate that! We hope to welcome you back again soon as our guest here at Caribbean Dunes in Destin! Clean and well spaced condo! A short walk to the beach. Electricity went out very late on night and they responded and fixed it within 20 minutes. Thank you for sharing your review for Caribbean Dunes #121. We are delighted to know that you had a wonderful beach vacation stay in this beautiful home and that you so enjoyed being near the beach! We are happy we were able to offer you assistance with any issue during your stay, and we thank you for contacting us. We hope to welcome you back again soon as our guest here in beautiful Destin, FL! We took a girls trip to this property for three nights and were very impressed with the friendly staff, location, and neighbors. Every morning we were greeted with 'good morning' by neighbors passing by while we were drinking coffee on the patio. The guests at the pool across the street were nice and the Jacuzzi was very relaxing at night. The beach is just a short walk away. We would recommend staying here to any guest! Thank you for your review of Caribbean Dunes #121. We are so happy to know that you all had a great weekend girls getaway stay in this beautiful home and that you so enjoyed the pool, jacuzzi, and the beach being so close to your condo! We are also pleased to know that you found our staff friendly and we thank you for letting us know. We hope to welcome you all back again soon as our guests here in beautiful Destin, FL for another girls trip! Thanks for sharing your review for Caribbean Dunes #121. 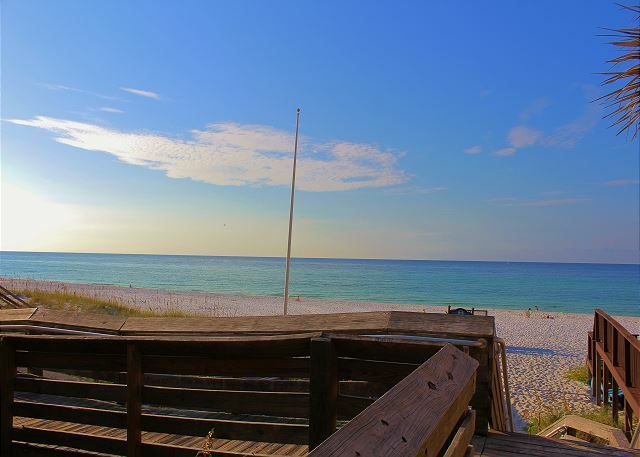 We are happy to hear that you had an enjoyable stay in this beautiful home and we hope to welcome you back soon as our guest at the beach in Destin, FL! 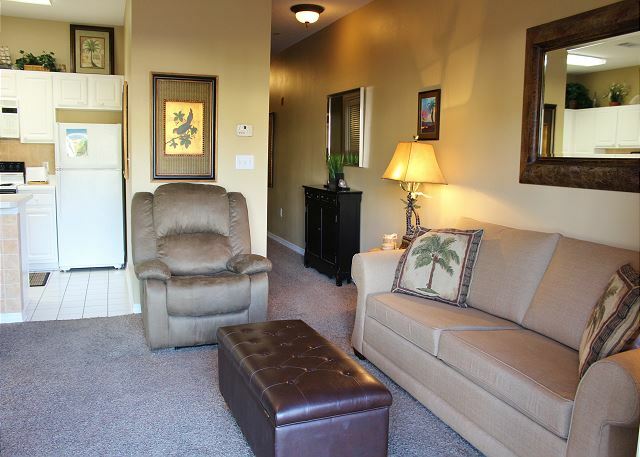 I've stayed at another condo here at Caribbean Dunes and location is perfect! The condo was nicely furnished. Was disappointed that it didn't have basics like salt and pepper, which adds to the grocery bill, but other than that, it was perfect! Thank you for sharing your review for Caribbean Dunes #121. We are so pleased to hear that you all enjoyed your stay in this beautiful home! We do not supply any grocery items for our vacation homes, but we do let our guests know this in advance, and we're sorry if that wasn't clear in any way. We would love to welcome you all back soon as our guests in beautiful Destin, FL! This place was amazing!! Staff was very nice and very helpful. Highly recommended!! There was nothing wrong with the rental. Very clean! Only thing wrong was the ****** weather the whole time we were there. But we will definitely be coming back!!! It was the perfect location!!! Thank you for sharing your kind review. We appreciate having you as our guests and we're delighted to hear that you all enjoyed this beautiful home! Sorry that the weather wasn't ideal during your stay. We hope for all sunny days on your next stay with us! We would be happy to welcome you back soon as our guests in Destin, FL! The rental was "home away from home", all the comforts my familt needed. Caribbean 121 was clean,close the shopping,restaurants and the beach with access just across the street.The area was quite and relaxing, Thank you. Thank you for your kind review and for staying with us! We appreciate having you all as our guests at Caribbean Dunes #121 and we are delighted to hear that you all enjoyed yourselves on your beach vacation! We hope to have you all back very soon to your 'home away from home' in beautiful Destin, FL! Thank you for your review for Caribbean Dunes #121. We are so pleased to hear that you all had a great vacation stay with us in this beautiful home and that you so enjoyed the beach, pool, and the Crystal Beach area. We hope to have you all back very soon as our guests in Destin, FL! We felt like we were home! 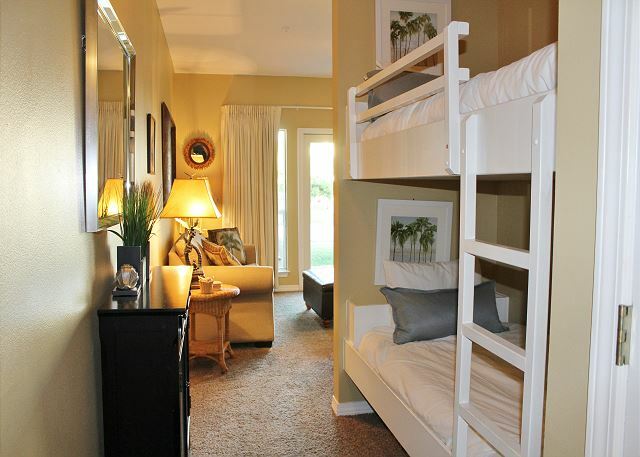 Beds were comfortable and well decorated condo. View could have been better and shower really needs a sprayer hose for better sand removal. We actually like our little walk to the beach each day! Happy memories were made in Destin!! Great location to shops and restaurants, too! Cant wait to book for next summer!! Karli was great with recommendations and we used the Harmony app...a lot! Thank you for sharing your review and suggestions for Caribbean Dunes #121. We are pleased to hear that you all so enjoyed this beautiful home as well as the location being by the beach and the are attractions. We're happy that Karly was able to assist you with recommendations, and that you enjoyed the app as well. We look forward to having you all back soon as our guests in Destin, FL! Our stay was wonderful! We didn't have any problems and our location was very close to everything. Will be staying there again! Thank you for sharing your review. We are so pleased to hear that you all enjoyed your stay in 'Paradise'! :) We will be very happy to welcome you back soon as our guests at the Beach! Thank you for sharing your review. We are pleased that you had a good stay with us and we welcome you back anytime as our guests in Destin! It is good to be away for a while from the northern experience. Thank you for sharing your review. We are so pleased to hear that you enjoyed your stay with us and we welcome you back anytime as our guest! Thank you for sharing your review. We are so pleased to hear that you enjoyed your stay with us this winter and we hope to have you back soon as our guests in Destin! The unit was perfect. Clean, attractive, everything we needed. Thank you for sharing your review. We appreciate you staying with us and and we hope to have you back soon as our guests on the Emerald Coast! Thank you for sharing your review. We are so pleased that you all enjoyed your stay at the beach and we hope to have you stay with us again! The condo looks just like it does in the pictures. It was so refreshing to be able to walk across the street to the pool and walk only 60 seconds to the beach! Now, whenever we visit Destin we'll be staying at Caribbean Dunes. Thank you for sharing your review. We are so pleased that you all enjoyed your vacation home so much and we hope to have you back soon as our guests! 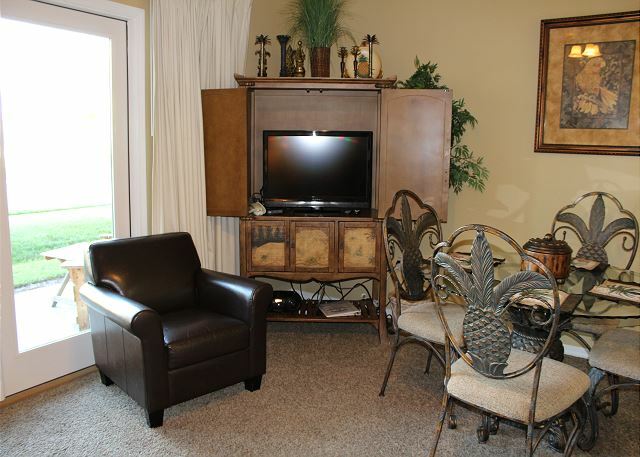 We loved the location and the condo had nice decor but does need some updating. Overall, it was a good experience. Thank you for sharing your review. We appreciate having you stay with us and we appreciate your feedback. We hope to have you back soon as our guests in Destin! 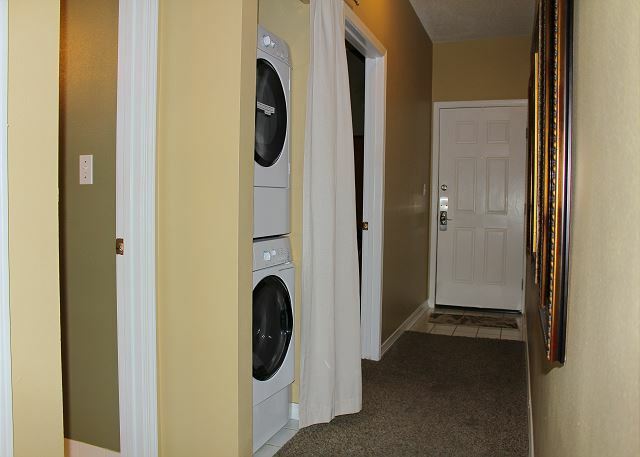 Very clean, lovely condo! One block from the beach on a quiet side street. Directly across the street from pool. It was everything I was looking for in a condo. The only thing I would have negative to say is that having private beach access is a mis-leading statement. Yes, you can privately access the beach, but you cannot sit there. You have to walk 50-75 yards up the beach to the public section. But you can also walk in at the public entrance and you are right there. Otherwise, I highly recommend this condo. Thank you for sharing your review. We're so glad you all enjoyed your stay with us! Thank you for sharing details that other guests may enjoy as far as using either the public or the private beach access. We are sorry if you misread beach access vs. private beach. We hope to have you back as our guests soon! Thank you for sharing your review! We're so glad you had a great time on your Destin Vacation! Come back soon! Great. Close to everything that I do. Place was clean, convenient, and the people are very friendly. This is a great place to stay. We will be back next year. a guest from ocean springs, MS does not recommend this vacation rental. The location of the condo was perfect. 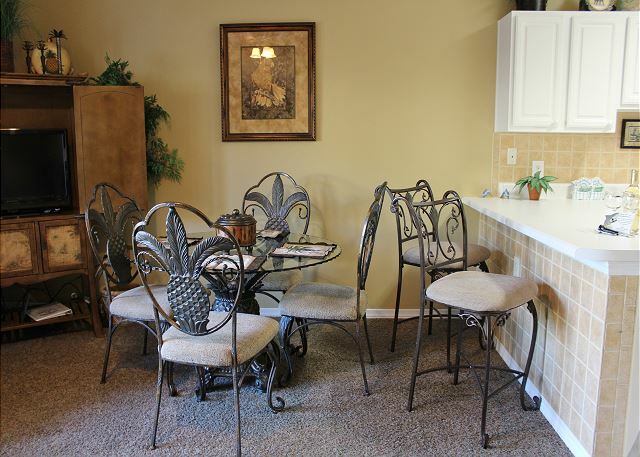 We have stayed in this complex many times and are typically very pleased with the properties. We love the area and the family atmosphere. The condo left a little to be desired. It was clean upon arrival, but there were a couple of issues. 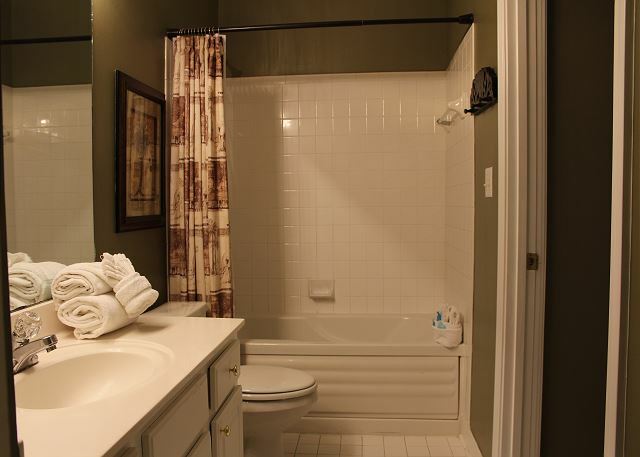 The bathtub did not drain well so when you take a shower the tub fills up. The pullout couch was not in good shape at all. The head of the bed would not stay level with the rest of the bed (it kept falling fown) and the mattress was very uncomfortable. Thank you for your feedback on your recent stay in Destin! We certainly could have taken care of the slow drain and are sorry that we did not catch this prior to your arrival! We will also check out the sleeper sofa and see if a repair is possible, if not, we will recommend replacement by the owner. We hope to see you again in the future! It was awesome! The picture of the pool had me a little worried, but the pool was just great, better than the picture! Overall had a wonderful time, the condo was perfect. Nice vacation and beautiful and clean area. we are thinking to go back to this nice place. Shopping and restaurants are close and highly recommended.